After being in Texas since May, I finally found an opportunity to make a trip home to Arkansas. For a few days I have traded the wind and endless horizons of the High Plains for the hills and humidity of Arkansas. It is great to see trees and water again after being gone for 4 months. As far as being green here, not so much. It has been a long, hot summer here in Arkansas with temperatures staying above the century mark for much of the summer and the added humidity and lack of rain just makes things worse. 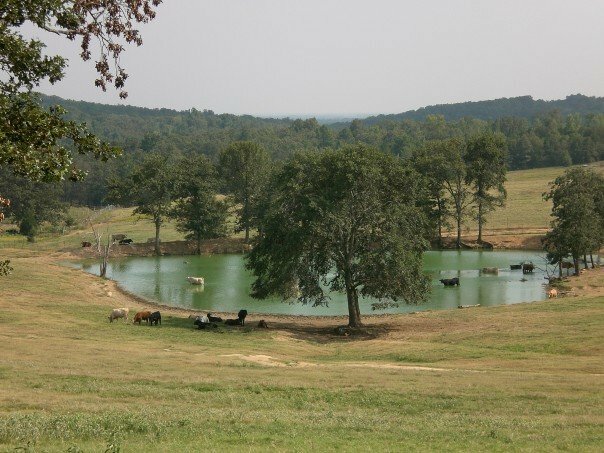 Hay production has been limited, requiring more irrigation for this year’s crops, and cattle ponds, creeks, and lakes are at lower than normal levels. Many trees on the ridges are shedding their leaves early and the grass is dried up and in short supply. These conditions are just a few of the difficulties producers in Arkansas have dealt with over the summer in Arkansas. In response, many producers have weaned calf crops early, sold a few more cull cows, and some hay has been fed. Luckily, to this point cattle prices have remained strong thanks to increased global beef demand and relatively lower commodity feed prices. Seeing as my dad is in the auction business, these conditions have resulted in a busy summer for him. Producers are asking him to look at their herds and make bids on marketing value, asking for help in marketing options for their calf crops, and look to him for advice on the outlook of the cattle industry. In the middle of all of this, a storm blew through and half of our barn was blown down and we are in the process of rebuilding. Until then we are managing what we have. Life in Agriculture is no “sunshine and flowers.” Not only do we have fluctuating markets to monitor, but as this year has shown, weather conditions play a big role in our production methods. Neither of which can we do much to change, all we can do as producers in agriculture is be good businessmen, watch our management practices, and be flexible and open to new opportunities. This is how we learn to be resilient. Learn to enjoy to the good times and work through the hard. 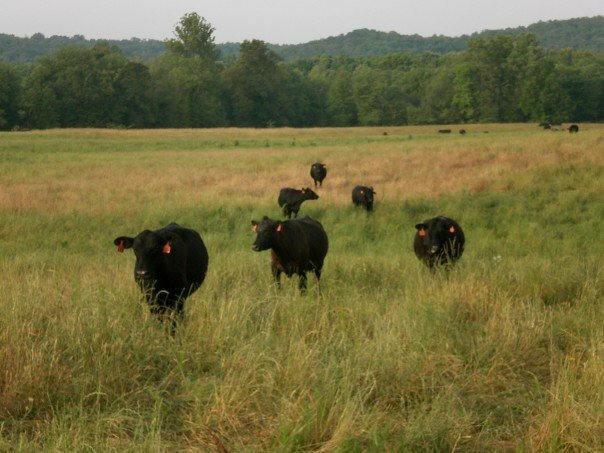 Farmers and ranchers have America’s back when it comes to keeping food on the table, but does America stand behind farmers and ranchers to help them through the rough? Connect with a producer in your area and learn what obstacles stand in their way in daily food production. Join the I am Agriculture Proud Facebook group to meet more of these producers and hear their story. Previous No Steak for Cattle Feeders? Sorry to hear about your lack of rain. We had too much in the spring and early summer so that our first hay cutting and our last wasn’t until mid August! Wanted to let you know some us farm gals in Indiana (with a few out of state guests) are talking about what we do today. You can check out all the links at the end of my blog today. Right now we are hustling to get our corn in before it all blows down. It’s mainly up, but we have had some strong winds, like right NOW, and with the big heat in August and September and a shallow root system, it isn’t take much to knock it over. Yields are still good, but now we need to get it up and in! Just for kicks and giggles, we have had a lot of field and machine fires in the last couple weeks, but yesterday was very nasty. Hate it when we can see that dreaded white smoke on the horizon or closer! We are resilient and leaning on FAITH we know we will make it through to greener pastures and years of plenty water! Great post Ryan!